Medium includes black and brown ink. 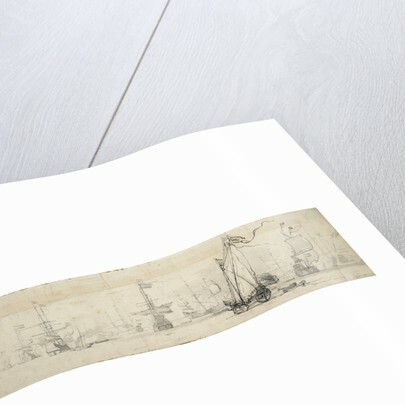 In this exceptionally long and thin drawing, there is a weather-quarter view of a sprit-rigged States yacht, depicted close-hauled on the port tack. There is a flag at this ship's masthead. There is another vessel seen in the background firing a salute. 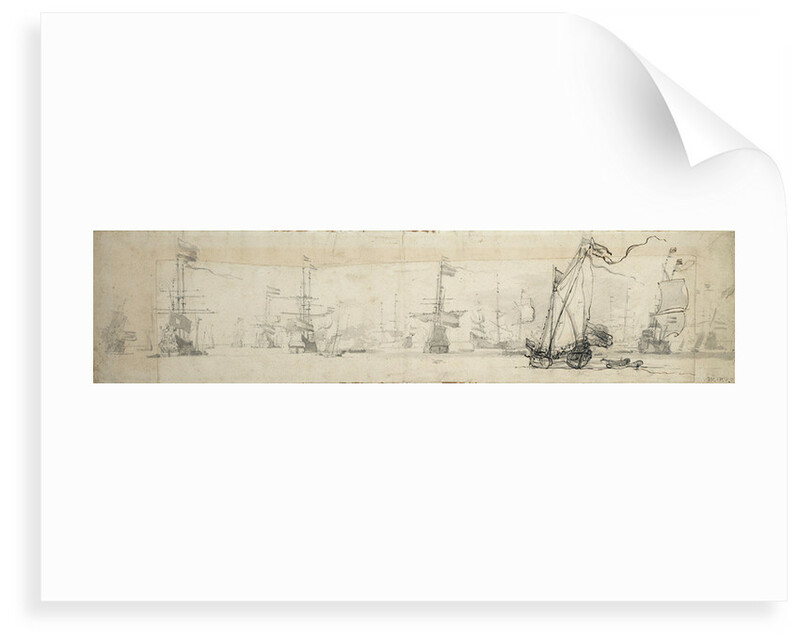 In the left half of the drawing there are mostly stern views of ships at anchor. There is also the Admiral of the van and the Admiral and Vice-Admiral of the centre. On the left, there is a ship firing a salute. 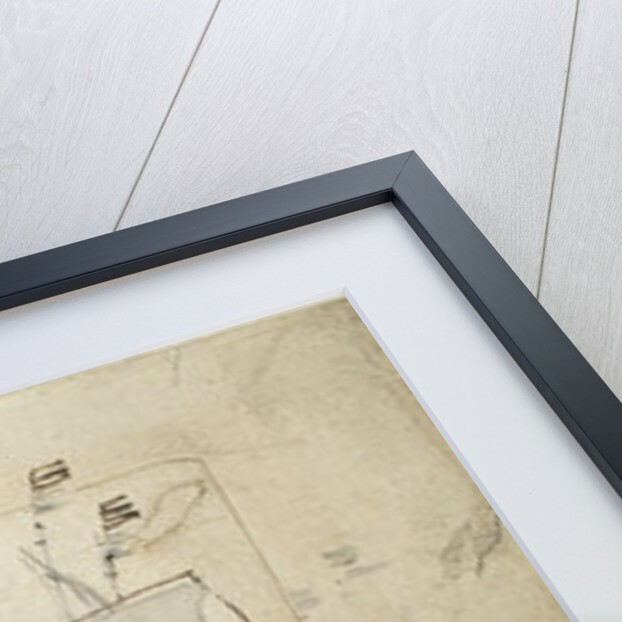 The drawing is in fact executed on a very small piece of paper, measuring around 93 mm x 412 mm, which is pasted onto a much larger sheet of paper. On the back of the smaller one, above the two ships saluting, is an inscription in ink, 'kroningenâ”œÂ½Ã”Ã»Ãª_apeloon'. 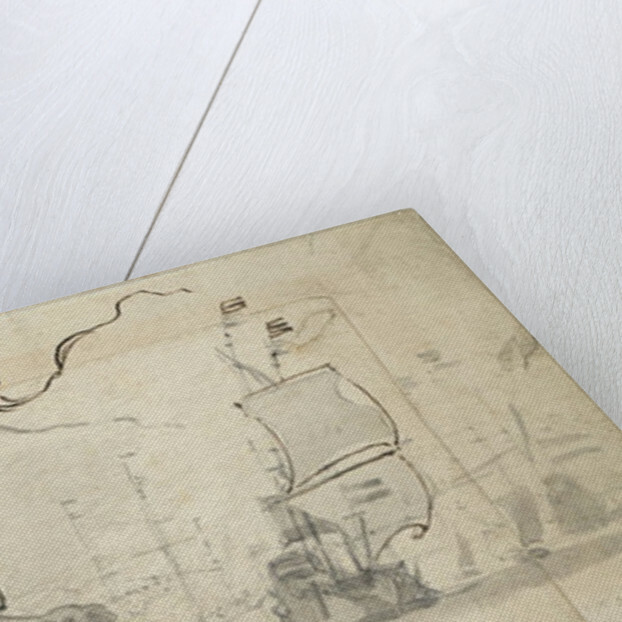 This drawing is signed 'W.V.V.J' in grey ink in the lower right-hand corner.